HMD Global has already sent out media invites for an event to be held tomorrow in India. While there’s no official info on which Nokia smartphone the company is launching, speculations hint at a Nokia 2 or Nokia 7 launch. 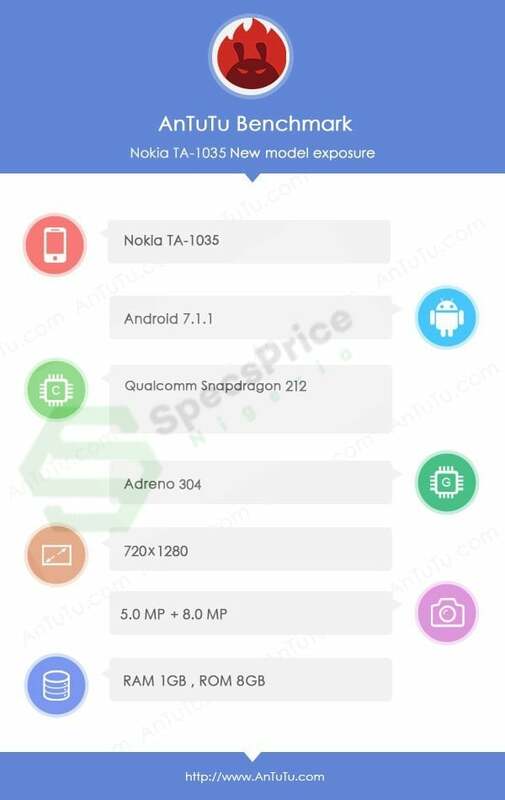 Nokia 2 has been in the rumour mill for quite some time, and the same smartphone is now spotted on AnTuTu benchmark which revealed all the key specifications of the device. As per the leaked specifications, the Nokia 2 will be HMD’s cheapest smartphone at $99 according to a US retailer listing. The Nokia 2 will come with a TA-1035 model number and will run Android 7.1.2 Nougat out of the box. It will be powered by the Snapdragon 212 chipset, coupled with just 1GB of RAM and 8GB of internal storage. The listing further suggests a 8MP camera on the back and a 5MP front-facing camera, which isn’t bad at all considering the price of the device. This entire package will be backed by a massive 4000mAh battery which could be the highlight point of the Nokia 2, and HMD might market the battery of the Nokia 2 itself. The unknown feature of the Nokia 2 is the display size. The AnTuTu listing confirmed that the phone will come with an HD display with a resolution of 720*1280 pixels, but the display size is unknown. A 4.5-inch or 5-inch display would be a decent one for the rumoured hardware. Graphics in the Nokia 2 will be taken care by an Adreno 304 GPU. The US price of the smartphone is $99, but the Indian price is expected to be below Rs. 5,000. 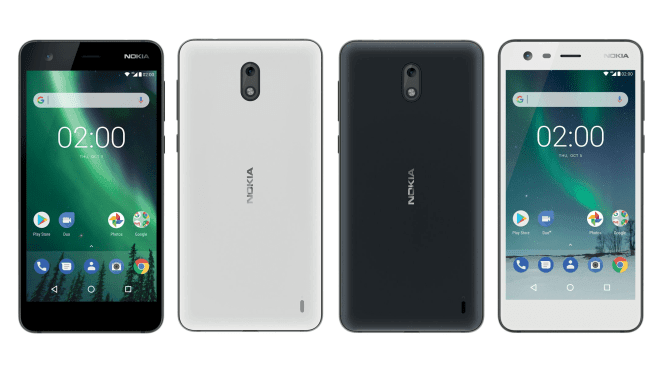 The Nokia 2 is aimed at competing with entry-level smartphones from domestic brands such as Karbonn, Lava, and Micromax. The smartphone might have support for 4G LTE and VoLTE as well. As said earlier, HMD Global is holding a press conference tomorrow in New Delhi. We will bring live updates from the event. Also, HMD might unveil a Nokia 4G feature phone or possibly the mid-range Nokia 7. Price cannot be more than 4000 for crappy ancient chipset and 1 gb RAM. using this phone for day today activities will be a bag full of hurt.